The Operations Department, led by Director Jim Morgan, consists of three divisions: Detectives, Patrol and Special Operations. All are equally important, working in concert to keep our citizens and their property safe throughout the county. Patrol is home to the “first responders” for police service calls. Deputies are committed to serving the community through the effective response to citizen calls for assistance; providing crime prevention programs and leading efforts in enforcing the laws and protecting citizens in Clay County. 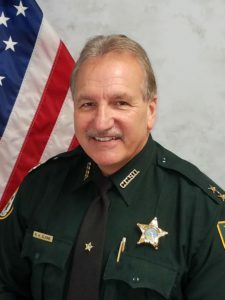 The Patrol Division is led by Chief Steve Barreira and is generally considered the backbone of the sheriff’s office because it is made up the largest group of deputies. The division consists of Patrol, Community Affairs and Operation Safe Streets. This team’s effectiveness is measured every day by the variety of calls deputies must be prepared to answer and the effectiveness with which they handle each call. Our deputies respond to reports of crime, conduct traffic control and enforcement, perform many community policing functions and coordinate efforts with the investigators who are called upon to follow up on many cases that originate from patrol’s calls for service. 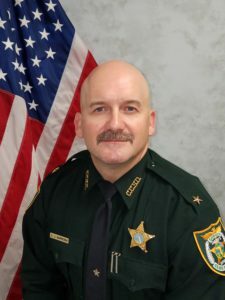 The Detective Division represents the investigative branch of the Clay County Sheriff’s Office. Members of the team are often at the center of some of the most heart wrenching cases that deal with children and victims of homicide. Chief Pat Golemme leads this division which consists of Robbery/Homicide, Criminal Investigations, Special Victims, Financial Crimes Cyber Crimes and Crime Analysis Unit. 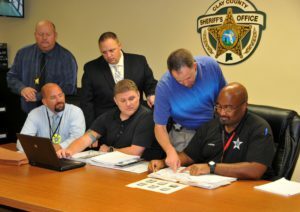 This team investigates some of the most complex cases that occur in Clay County. Members use state-of-the-art equipment and software to solve cases. The civilian crime scene technicians are trained to collect evidence at various types of crime scenes allowing patrol deputies and detectives to focus more time and energy on investigations. 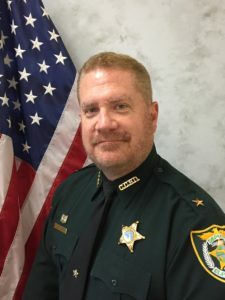 This division, led by Chief Richard Elkins, is the strategic arm of the Clay County Sheriff’s Office. Team members respond to some of the county’s most volatile law enforcement situations. They handle hostage situations as well as dignitary protection assignments. They also work with our youth, teaching them responsibility, leadership and teamwork. 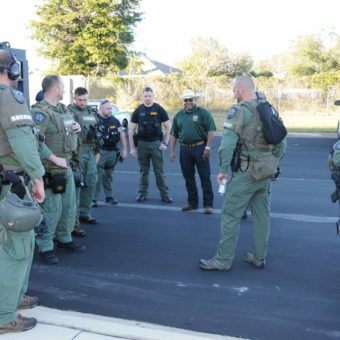 The Special Operations Division includes: Juvenile Crime Section, Crossing Guards, Law Enforcement Explorers Program , Police Athletics League, Special Weapons and Tactics (SWAT), Hostage Negotiation Team, Dive Team, K9 Unit, Emergency Management, Traffic Unit, Marine Unit and Public Service Aids.